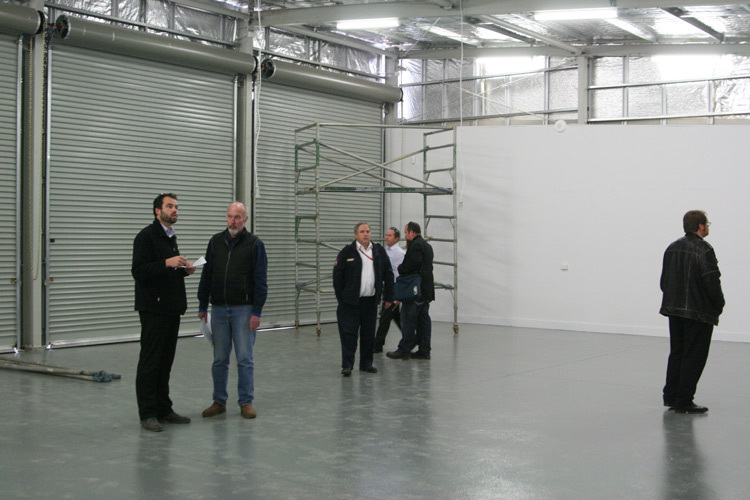 This afternoon Boss Constructions handed over Stage 1 of the Jerrabomberra Station extensions. 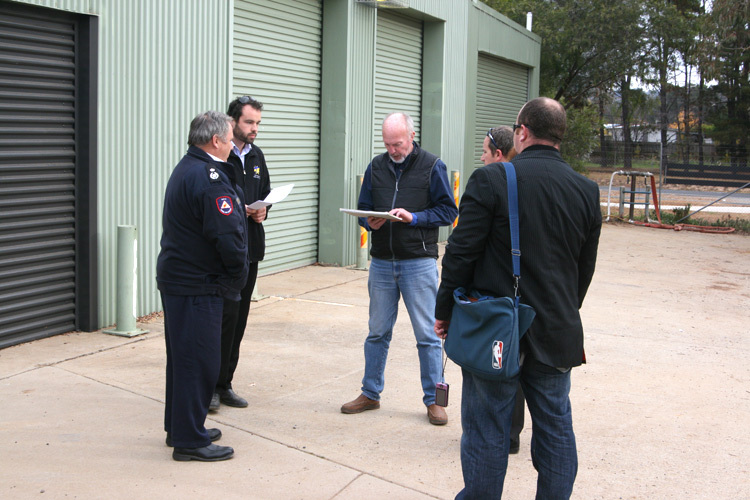 Rob Gore, (President) and Chris O'Neal of Jerrabomberra Brigade plus representatives of Boss Constructions, ACT Procurement Solutions, JaCS Facilities Support and ACT RFS management were there for the hand over. 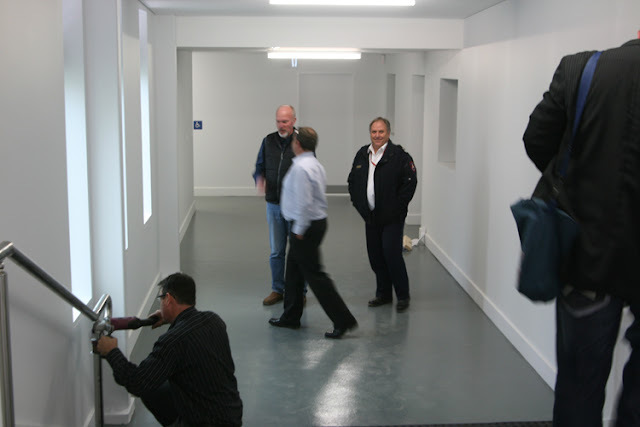 The group inspects the inside of the facility.